The deadline for the purchase option for 25% of Strabag for Deripaska is today, Friday. The construction company says: "Currently, the documents are being finalized." Details are not known yet. 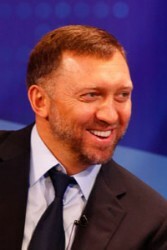 The Strabag share package that Deripaska acquires is for around 550 million euro (770 millions dollars).